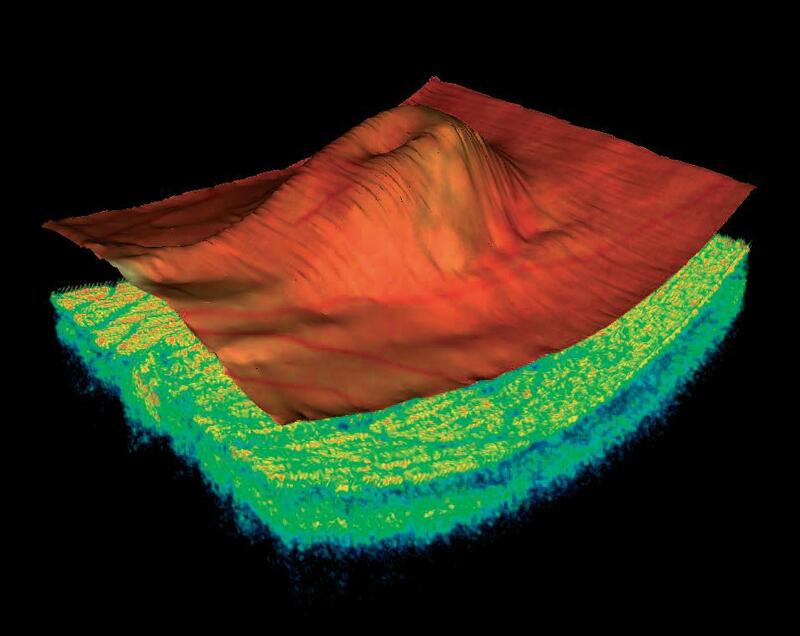 Optical Coherence Tomography (OCT) is a new non-invasive imaging test that utilizes light waves to take cross-sectional pictures of your retina. OCT imaging works by analyzing time delay and magnitude change of light as it is backscattered by ocular tissues. A scanning beam moves across tissue and signals from reflective properties yield cross sectional images. The test provides varying data sets that provide a detailed image of disease progression and invaluable information. The procedure itself is easily tolerated by most patients and the results can be viewed in high confidence. OCT has become increasingly popular among the medical community because of its superior image resolution that requires no preparation of the patient or sample, is instant, and lacks ionizing radiation. This allows the doctor to see the distinct layers of the retina in order to assist with diagnosis of such conditions as glaucoma, macular degeneration, diabetic macular edema, and many other conditions. Measurement of thickness provides guidelines for treatment of retinal abnormalities. In order to obtain the highest quality eye exam and be proactive about maintaining eye health, please contact our office at 310-734- 3446 or visit our website http://www.bheyeguy.com.